Have you ever wanted to find out why your photos aren’t turning out the way you hoped? Now you can! 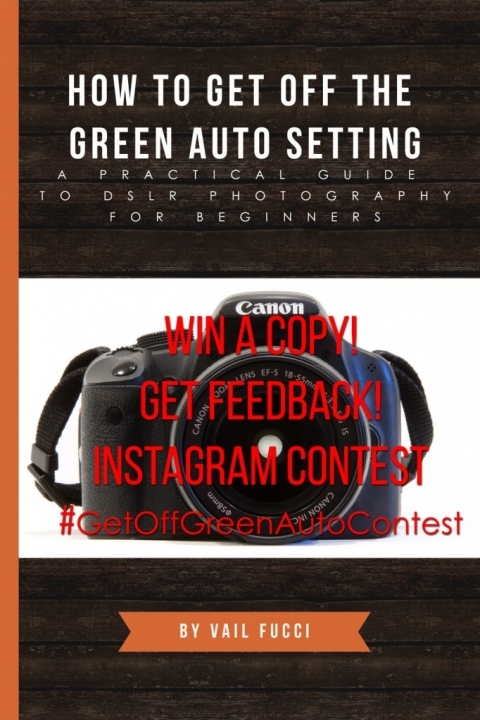 Post the photo you want help with or critiqued to Instagram with the hashtag #GetOffGreenAutoContest. In the caption post any helpful information you have, like camera and settings you used and what you hoped to accomplish in the photo and what you don’t like about the photo. I will write back to you in the comments with suggestions of how you could have made the photo better. Pictures you took on cameras other than your phones are great too. Just email them to yourself, open the email on your phone, and then save the image to your phone’s camera roll and upload them to Instagram from there. On December 15th, 2018, I’ll draw one name from those who submitted an image for critique and followed my instagram feed @VailFucci to send a free signed copy of my book, How to Get Off the Green Auto Setting: A Practical Guide To DSLR Photography for Beginners. I look forward to seeing your posts!